Mary Szymkowski is the relatively new owner of the Cat Hospital and was born and raised in the Chicago area. She earned the Bachelor of Science degree in Electrical Engineering and Computer Science with highest honors from Northwestern University in 1985. Upon graduation, she accepted a job as Software Engineer and Project Manager at IBM in Raleigh, North Carolina. While at IBM, Dr. Szymkowski earned her Master of Science degree in Computer Science from the University of North Carolina at Chapel Hill. Ultimately Dr. Szymkowski followed her heart into veterinary medicine. She accepted a position at the North Carolina State University Veterinary Teaching Hospital, leading the design and implementation team for their first online medical records system, while also taking pre-medical classes at Meredith College. She earned the Doctor of Veterinary Medicine degree from NCSU in 2001. In the process, Dr. Szymkowski was contributing author for an article published in the Journal of the American Veterinary Medical Association and did a four week external rotation at UNC Hospital's Radiation Oncology Department to study radiation treatment planning and implementation. Dr. Szymkowski's professional memberships include the American Association of Feline Practitioners, the Veterinary Wound Management Society, the International Veterinary Academy of Pain Management, the American Veterinary Medical Association, and the North Carolina Veterinary Medical Association. 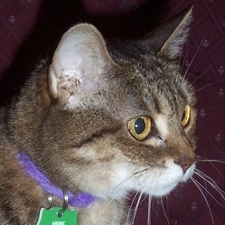 She cares deeply for all animals, but her special interests are feline medicine and surgery, wound treatment, cancer care, and geriatric medicine. Dr. Szymkowski has been a pet therapy volunteer at WakeMed Hospitals since 1993 and now spends Thursday evenings visiting patients at the Cary hospital with her canine companion Ivey. Dr. Szymkowski is also an active member in the Wake County Carolina Club, the Greater Raleigh Alumnae Chapter of Alpha Gamma Delta, the Triangle Northwestern University Club, and the Hearts of Carolina Smocking Guild. She is an avid runner and competes regionally in distances from the 800m up to the half marathon, and regularly runs with the Carolina Godiva Track Club. She and her husband Lindsey share their home with dogs Ivey and Peppermint Patty, and cats Marigold, Tony, Clark, Maurice, Celina, Amelie, and Wall-E, in addition to occasional rescue and rehabilitation dogs and cats. Margaret Edwards-Seal, DVM Margaret Edwards-Seal recently joined The Cat Hospital of Durham and Chapel Hill. She has been a companion animal veterinarian for over 20 years, having graduated from the NCSU College of Veterinary Medicine in 1995. She received her undergraduate degree from the University of Virginia in Charlottesville, VA, majoring in psychology, and graduating in 1987. During her undergraduate career, Dr. Edwards spent her summers working at a veterinary hospital in Williamsburg, VA. She worked in the kennel there and assisted the veterinarian; this doctor soon became her mentor. So when Dr. Edwards graduated from UVA, her mentor very strongly suggested that she go to veterinary school and she recommended she go to NCSU. Consequently, Dr. Edwards moved to Cary and soon started working at the veterinary college caring for large animals, poultry, and horses. In 1989, she joined the Oncology Service at the NCSU Teaching Hospital as a research technician. While working fulltime, she took the prerequisite classes for vet school at NCSU and entered the veterinary program in 1991. Between her first and second years of veterinary school, Dr. Edwards spent her summer in a Leadership Training Program at Cornell University College of Veterinary Medicine. There, she worked on isolating the genetic sequence responsible for Duchenne muscular dystrophy in Golden Retrievers and in humans. Professional organizations to which Dr. Edwards belongs include the American Veterinary Medical Association and the North Carolina Veterinary Medical Association. She is also on the Board of Advisors for Wags4Tags; this organization pairs military veterans suffering from traumatic brain injury or PTSD with dogs rescued from high-kill animal shelters then trained as support dogs. 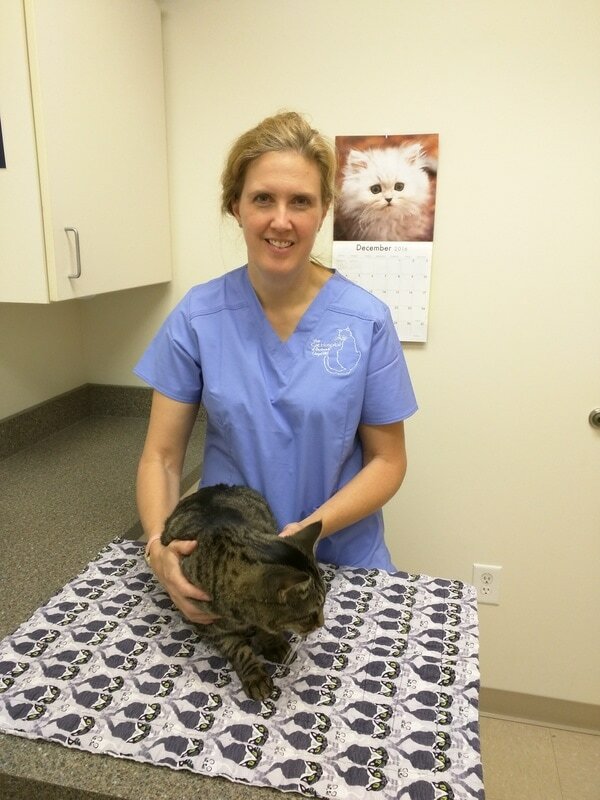 As a companion animal veterinarian, Dr. Edwards has enjoyed helping both dogs and cats. 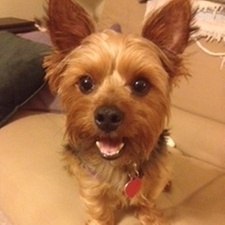 She finds working with pet owners rewarding and considers the care of pets a team effort. This team includes the pet, the pet’s family, the veterinarian, and the veterinary staff. She engages veterinary specialists in the care of patients, as well, to offer the most appropriate care available. 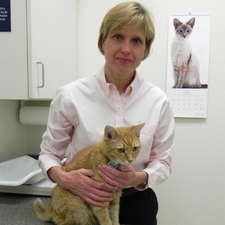 Dr. Edwards recently focused her interests on feline medicine. As a cat owner and cat lover, she appreciates the special bond people and their cats develop. She is interested in the unique care cats require and is eager to practice medicine tailored to the needs of the feline patient. In her spare time, Dr. Edwards enjoys training her dogs to compete in agility events and obedience trials. She also enjoys playing with her cats, hiking with friends, cultivating a small flower garden, and maintaining three fresh water aquariums. Dr. Rachel Davis is originally from the Chicago suburbs. She moved to North Carolina from Maryland in 1997 and graduated from NCSU College of Veterinary Medicine in 2001. Since graduation, she has worked in small animal practice in Chatham county and Cary. Her interests include dentistry, client education, pain management, soft tissue surgery, and wound care. She has taken extensive continuing education classes and laboratories to advance her knowledge and skills with feline dentistry. Rachel and her husband, Clark, live in Cary with their daughter, their dog Edie, and three cats, Sid, Pygmonkey and Fuzz Button. In her free time, Rachel enjoys swimming, reading, knitting and sewing. Jules is one of our part-time folks. She has a lot of training in veterinary care as well as grooming. Jules has been working in this field for over twenty years. She has a soft heart and has fostered or adopted many dogs and cats through the years. Jules is a wife as well as a mom of a two year old. She also has an English Mastiff, two cats and a cockatiel. Matthew comes to us with both veterinary and retail experience. He is easy going and ready to help! Matthew is a a musician and an animal lover. He has a dog and a cat. Alex comes to us with a wealth of veterinary product retail experience. He is always eager to offer a helping hand with a ready smile. He owns a single cat, BlackJack, pictured. Alex is a Durham native and attended UNC-Wilmington. His hobbies include playing music, fantasy football, bird watching, French cuisine, disc golf, cross fit, and tabletop gaming. We are glad to have Stacy join our team. She knew us as a client. Now she gets to work both behind the scenes and up front! Stacy has been a groomer in the area for several years. She is a quick learner and eager to help in any way needed. Stacy Loves Dogs and Cats! Stacy has both dogs and cats. She has a precious Yorkie named Jackson and several cats including Arlin, Thomas J, Javelin and Voodoo. She also is a huge Mets fan! WRay is our weekend and holiday savior. He can be found here every weekend helping us take care of our feline friends. WRay is a true animal advocate. When he is not busy at his day job, he volunteers with Safe Haven for Cats. WRay currently shares his home with two loving feline companions; Anime and Calliope. Ashley is one of our super additions. She grew up in this area and has spent several years in Boone. Ashley loves crafts especially jewelry making. She and her fiance love to cook and hang out with friends. Ashley has a four year old kitty named Rufus. His official name is Rufus Momo Von Purrpants! 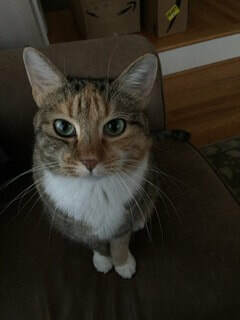 Ashley loves cats and would love to have a house full! She recently added Pearl who was at The Cat Hospital. Her full name is now Pearlina Mercedes Frillibritches! Denise is a recent welcome addition to our team. She was born in Maryland and has twenty-four years of retail experience. In 2011, she decided to move to North Carolina for training as a veterinary technician. Denise graduated from the Veterinary Medical Technology program at Central Carolina Community College in 2014. Denise has two dogs and three cats. Her hobbies include walking, reading, and playing piano. Carolyn helps with the office administrative tasks, which allows the receptionists to focus their attention on our clients. She joined the team in Oct, 2017, one year after retiring from a career in project management in the IT industry. Carolyn fills her time with enjoyable activities such as bird watching, running, swimming, hiking, volunteering at Red Cross blood drives, donating platelets, and working at the Cat Hospital.